On Feb. 3, 2017, LuvNGrace & Georgia Primar have a very special event planned at the at the Chali-Rosso Art Gallery at 549 Howe. It is an evening not to be missed. Flying in from the Hamptons are best selling author Coerte Felske and internationally acclaimed photographer/mixed media artist Raphael Mazzucco. AND there will be a special guest this evening - NHL legend & artist Richard Brodeur. Add in a wonderful Master of Ceremonies who I truly adore - Jim Michaels ( Co-Executive Producer of The Supernatural TV Series) and music spun by the one and only MISS DJ aka Chelsea Joelle and you have all the pieces in place for one amazing night. All that's missing is YOU! The evening begins at 6 p.m. sharp, with author Coerte Felske holding a book signing. Here is your chance to not only snag a much sought after signed copy, but also grab a quick photo with this acclaimed best selling author. Then at 8 p.m., the evening swings into a fabulous after party. Tickets are $40 and include both the Book Signing & Afterparty with Coerte Felske, Raphael Mazzucco, Supernatural's Jim Michaels and special guest Richard Brodeur all in attendance. TIX are available via E-Transfer at luvngraceaffair@gmail.com or by phoning (604) 374-5610. Now for my favourite part of this article! As a fellow writer and someone who is passionate about interviewing others on their life story, I have a great Q and A with Coerte Felske for your reading pleasure. As he was working furiously on meeting a tight deadline for his screenplay of The Ivory Stretch, I want to express my gratitude to him for taking the time out to answer these questions. I hope you enjoy this interview as much as I did. Where did you grow up and what were your interests as a child? I grew up in NYC and the Hamptons. I was groomed as an athlete from a young age by my father who was a pro baseball player that played at Yale with President George HW Bush and his teammates. Can you share a bit about your journey to become a published author? How/when did you decide to follow that career path and what were the steps along the way? The artistic Dutch side didn't kick in until later when I became a Romance Language major at Dartmouth College (French, Italian). I wrote my thesis on Italian film directors in Italian. I was always writing but in foreign languages. I did my undergrad at Dartmouth and my grad work at Columbia University in their film school. This is where I learned screenwriting. I wrote a screenplay at Columbia that came in 3rd in the Nissan Focus Competition, then went to Hollywood. I became disillusioned with comic book-movie culture, so I wrote a novel about my life in NY while living in LA. It was bought by Random House by a great editor - Ann Patty (Life of Pi). 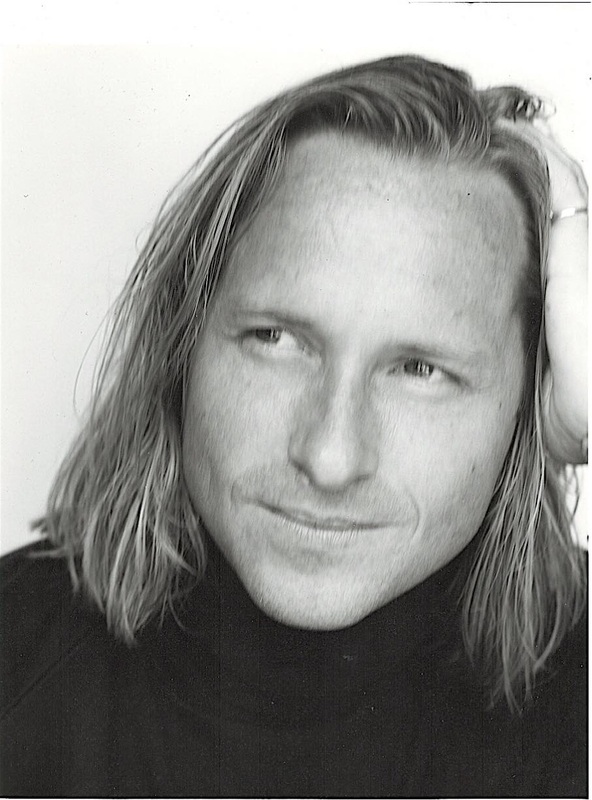 Please share a memory or two about writing The Shallow Man, your first published novel released in 1995. Where did the inspiration come from? What was it like to write and what was the process to get publication that first time around? The Shallow Man was based upon my social life in NY. I saw this global phenomenon happening - beautiful girls taking over the social life, societal landscape, and cultural limelight globally - and how it affected the population--in this case males. The models were becoming bigger than movie stars. 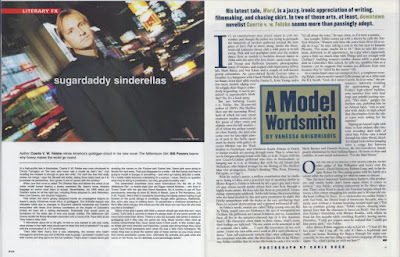 (I was honoured and honestly humbled to read Vanity Fair' s very positive review of TSM, comparing it to the other model fiction books of the time and stating I was one of the few to get it right. You will find this in the beginning review section of all my books). The process was - 1) I was referred to an agent, 2) bam, it sold and 3) my life changed from being a dime a dozen screenwriter in LA which I did not like. to a celebrated author in NY. How many books/screenplay/songs have your written since that time? I have written 9 novels now, but only 5 are out. Another will be released this summer called Three Sleeps to Double Happiness. My first 4 books, ending with Scandalocity, I call Dolce Vita Fiction. Then I began writing more classic dramatic narratives. Now I'm doing a Montauk book that is a hybrid. All the published books have had their movie rights bought, but none have been made into films yet. Vancouver's very own Raphael Mazzucco will be directing The Shallow Man and filming will begin this year. I also wrote one song which went to Number 1 on the Dance Billboard charts--SECRET LOVE by Kim Sozzi. I wrote all the lyrics. You can see it on YouTube. TMG is a favorite as it was challenging because it was the second time I wrote in first person as a woman. TMG started as a journalistic expose for Esquire Magazine. They sent me to Aspen to do an expose on golddigger women who flock there to meet rich men at holiday time. The Ivory Stretch is a favorite because I worked harder at it. I write very fast - TSM in 9 days, TMG in 3 weeks, Word in 5 weeks. But with IS, I drove 8000 miles in the southwest researching it (ie I wrote a story 20 years ago about a place I had never been--so I had to get to know it), then I drove the route I had written about in the outline, done with travel books. Inspiration comes from my daily Walk of Life, taking it all in, watching and listening. And I'm a trained soldier now, constantly processing, adapting, assimilating, and absorbing. What is the hardest part of writing for you? What do you love the best? The best part is moving people, bringing them on a journey that is hopefully life-enhancing for them. Their time and everyone's is precious. That what I wrote was worthy of their time gives me a tremendous sense of gratification. What is your highest moment so far? Highest moment? More like highest honor--being invited to the White House for Millennium Eve, 1999! Hugest moment? Far too many! Definitely all the great folks I've met along the way. My favorite thing is meeting new people. Becoming a well-reviewed, acclaimed, or "successful" novelist has taken me on a superhighway for that. Is there any advice you can share for writers just starting out? For new writers, the best qualities are to listen and watch. Writing is rewriting. Have no fear, and let it rip. Anything you'd like to share about new work or exciting things coming up? Also, the Ivory Stretch movie rights have just been bought and I wrote the screenplay for it.